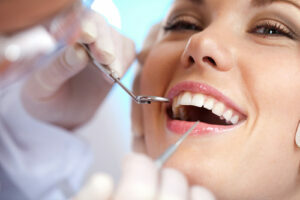 When a person is told they need to get all of their teeth replaced, this tends to evoke feelings of fear and anxiety. After all, you only get one set of teeth, and if you still have a few left—albeit severely damaged—you most likely want to save them for as long as possible. Unfortunately, this mindset is preventing many people with failing and missing teeth from obtaining a life-changing set of new teeth. Dr. Daniel Lauer, our double board-certified periodontist, is committed to educating patients on the impact of a full mouth teeth replacement, and how it can transform their oral function and appearance. At Precision Periodontics & Implant Dentistry, Dr. Lauer is passionate about helping patients who have suffered for years from failing teeth improve their quality of life by getting completely new smiles, also known as “new teeth in a day.” Although this concept of replacing all of one’s teeth can be intimidating, Dr. Lauer discusses the procedure in detail with candidates to make sure they understand the significant benefits and feel confident about their decision to move forward. Their mouth will be evaluated through 3D scans and impressions, which will allow Dr. Lauer to properly diagnose and plan their surgery. Any remaining damaged teeth will be replaced with 4-6 dental implants (per arch) using a surgical guide for optimal precision. After the implants are placed, an impression is taken of the mouth for the creation of the full arch restoration. The restoring dentist will attach the prosthesis to the implants, and this will be worn for 4-6 months until the implants have fused to the jawbone. At this point, the permanent teeth replacement is attached to the implants, comfortably fitting to the contours of the mouth. All steps can typically be completed within 24 hours, helping you replace your teeth with as little inconvenience as possible. Before you know it, you’ll be smiling, eating, interacting, and living without the embarrassment you once felt due to the look and feel of your teeth. If you’re interested in learning more about the full mouth teeth replacement process, please contact us to set up an appointment with Dr. Lauer. This is a question many patients ask as they consider their options for replacing multiple teeth. 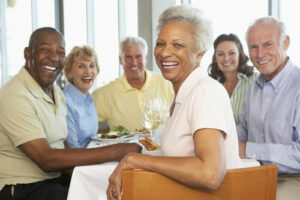 After all, dentures seem to be a much simpler option because they have a lower up-front cost and don’t require surgery. 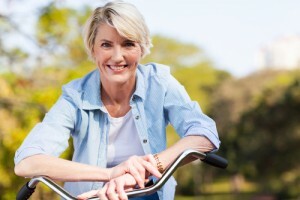 While this is the mindset of some individuals who choose dentures, more and more people are learning the dramatic improvement that switching to implant-supported dentures can offer their lifestyle. Although dentures are a viable solution for many people, there are a number of limitations to this teeth replacement option. Since a full or partial denture sits on top of the gums, it requires adhesives to stabilize it, which can often be messy and inconvenient. Additionally, dentures can irritate the gums from shifting around, cause increased bone loss over time and even cause a clicking sound while chewing. Our board-certified periodontist, Dr. Daniel Lauer, offers patients who wear dentures the ability to anchor them with the advanced potential of dental implants. Not only does this erase many of the common issues associated with traditional dentures, but it also provides a stronger bite, allowing you to chew, talk, and smile in a more natural way. Another advantage to choosing implant-supported dentures is the ability of the implants to actually help prevent future bone recession, which often occurs from traditional denture wear, since the bone is not being stimulated. The many benefits of implant-supported dentures have caused numerous patients of Precision Periodontics & Implant Dentistry to seek this more functional and natural-looking alternative to traditional dentures. If you’re interested in learning how making the switch can change the way you think about dentures, please contact us today to set up an appointment. What if I Don’t Have Enough Bone for Implants? One of the most important factors that determines whether you are a good candidate for dental implants is the amount of bone present in your jaw. This will affect the potential success of your results because your jawbone must accommodate the implant and act as a solid base for the restoration. Should you not have sufficient jawbone density available, our periodontic specialist, Dr. Daniel Lauer, performs bone grafting to create a stronger foundation for future implant placement. Bone grafting can correct bone deficiencies–whether caused by recession, fracture, or deterioration–and make it possible for you to undergo dental implant surgery in the future. The grafting procedure entails donor bone material to be placed in the target area. Over the next few months, this graft gradually fuses to your existing bone, enhancing your jaw’s ability to secure an implant. 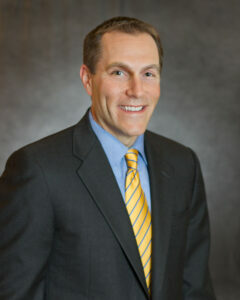 Dr. Lauer will customize the bone grafting procedure according to your individual needs. Common techniques include the ridge augmentation and the sinus augmentation–two areas that require optimal bone density for favorable implant surgery results. If you would like more information about bone grafting prior to the dental implant procedure, please feel free to contact us to set up your appointment with Dr. Lauer. When you have a missing tooth that needs to be replaced, you have different options from which to choose. It’s only when you fully understand the pros and cons of each solution that you can make an informed decision about your restoration. A common confusion among patients seeking a tooth replacement is whether to get a fixed bridge or dental implant. Dr. Daniel Lauer encourages people to thoroughly discuss each option with their dentist to learn which is better for their individual needs. A dental bridge typically involves two or more crowns for the teeth surrounding a gap, with a false tooth in the middle. This option makes a great alternative for those who are not considered good candidates for dental implants. Unfortunately, bridges are a three-tooth solution to a one-tooth problem, which requires altering healthy teeth to support the bridge. As a result, this solution could potentially lead to future issues. Dental implants, on the other hand, are individual restorations. The procedure involves a small titanium rod being surgically implanted into the jaw, on top of which a crown is attached. While they often have a higher cost up-front, dental implants typically have a better long-term value, since they don’t decay and usually don’t need to be replaced. Despite the solution you choose, Dr. Lauer stresses the importance of learning about your different options before committing to a bridge or implant. If you would like more information about how you can replace a missing tooth, please contact Precision Periodontics and Implant Dentistry. Dental implants are a permanent tooth replacement option that not only looks natural but also feels like your real teeth. When you come into Precision Periodontics and Implant Dentistry, Dr. Daniel Lauer will spend time with you to discuss your options for replacing one or more missing teeth. From dental bridges to dentures to implants, he believes you should be fully informed about your choices so you can make the right decision for your individual needs. As part of this process, Dr. Lauer will perform a comprehensive oral examination to determine whether or not you may be a good candidate for dental implants. One of the most important aspects of implant candidacy is having adequate jawbone density. Since a titanium post is surgically placed where your tooth root would be, your jaw must fuse with the material to create a stable foundation for the implant’s crown. If you prove to not have enough jawbone available, Dr. Lauer may recommend either bone grafting to increase your chances of a successful implant surgery or an alternative solution. 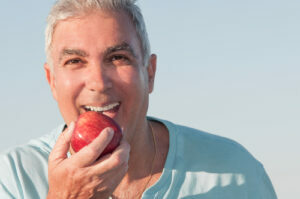 Another factor that can affect your dental implant results is your overall health. You may not be a good candidate for the procedure if you suffer from a medical condition that complicates healing from surgery. Similarly, dental implants are not ideal if you are currently undergoing radiation or chemotherapy, as these treatment methods can cause problems with blood clotting and fighting off infection. If you are interested in dental implants, and would like to learn if you are a good candidate for the advanced solution, please contact us to schedule your consultation with Dr. Lauer. 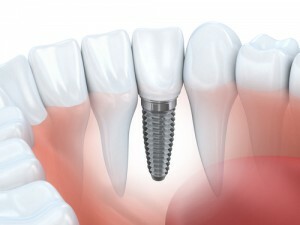 When it comes to replacing missing or damaged teeth, dental implants can be an excellent option. The advanced solution replaces not only the visible part of each tooth, but the entire root as well. Although alternative restorations, such as dentures, may have a lower cost upfront, dental implants are a durable, permanent solution that can be more cost-effective in the end. Dr. Daniel Lauer says that while implants tend to have an overall higher price tag, they are a solution that can last a lifetime, making them a valuable investment. For those considering dental implant therapy, Dr. Lauer emphasizes the importance of finding a qualified specialist who is experienced in performing the procedure. While certain professionals who are less qualified may offer implants at a lower cost, Dr. Lauer says opting for these individuals may have an added risk of complications that can cause patients to spend more in the long run. Ultimately, the cost of dental implants will vary according to several factors. For a patient to ensure they are getting the best possible results, Dr. Lauer says the surgeon, their experience and qualifications should be the number one priority. For more information about dental implants, or to schedule your appointment with Dr. Lauer, please contact our office.